When Nina Siljanovic started her crowdfunding campaign it was always going to be full of surprises. By the time Nina signed up with Australian crowdfunding platform ReadyFundGo, she had already thrown in her successful overseas investment banking job and devoted a few years to building The Nutty Baker from a home kitchen baking business into a popular shop in the exclusive Sydney suburb of Vaucluse. Nina perfected her baking skills and soon became known for her signature gluten free Amaretti biscuits. Some say that the harder you work the luckier you get, and so it eventuated with Nina’s Amaretti biscuits. Our favourite Australian airline is always on the lookout for high quality Australian food products to serve on their flights. Qantas came across The Nutty Baker’s gluten free biscuits and soon offered the Nina a contract to supply 3,000 of them per week. For any small business such news is often met with equal measures of delight and terror. In order to serve the extra demand additional production facilities would most certainly be needed by Nina. 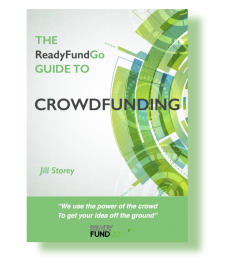 With banks and finance companies either saying “No” or offering astronomical interest rates Nina turned her eye to crowdfunding and started a campaign with Australia’s reward-based platform for start-ups, ReadyFundGo. Nina knew that she had some great support from her local community and took the plunge to create her crowdfunding campaign page. She received some very generous pledges in the first few days of her crowdfunding campaign from local customers and friends who had watched her business grow. Nina was about to look to social media to generate some interest and traffic when less than a week after launching success arrived under a new disguise! Further promotion became unnecessary and Nina, delighted with the outcome, was able to scale her operations to deliver the Qantas contract. So what was the surprise ? Well as many of you know, one of the benefits of crowdfunding is the opportunity to story board your vision. By doing just that Nina attracted an angel investor! 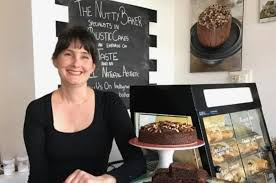 The team at ReadyFundGo are delighted that by being on the platform Nina achieved her objective and is now scaling the Nutty Baker with success coming in all different guises. 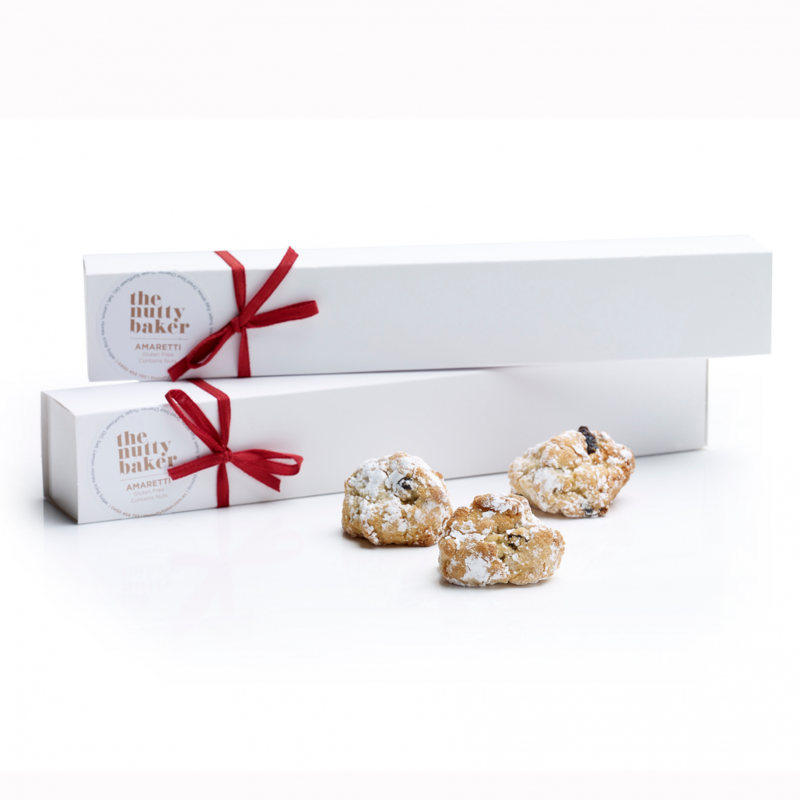 Indeed, Nina has now told us that The Nutty Baker Amaretti Biscuits are now in the sky and in fact she has sent out 70,000 biscuits already! So, if you are lucky enough to be flying internationally with Qantas in first class or business class you will now be able to bite into a gluten free hand-made Amaretti biscuit. 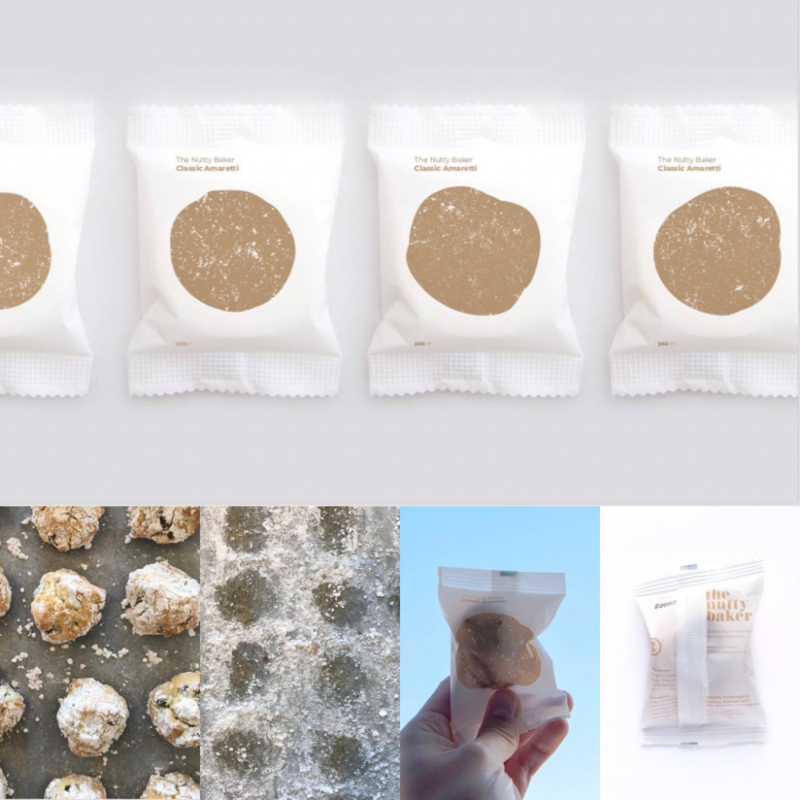 Nina and her team at the Nutty Baker engaged Span-Agency to design the packaging for their biscuits. It shows a silhouette of the Amaretti Biscuits as they are baked on the tray. With each biscuit being handmade (even on a mass scale), they created six different images of the silhouette to demonstrate this. Clever! We look forward to watching Nina the amazing Nutty Baker go from strength to strength. Got an innovative idea for a food business ? If you have an innovative idea for a new food business and are looking to get started, or if you already have a business and are looking to expand, get in touch to find out how crowdfunding can help.